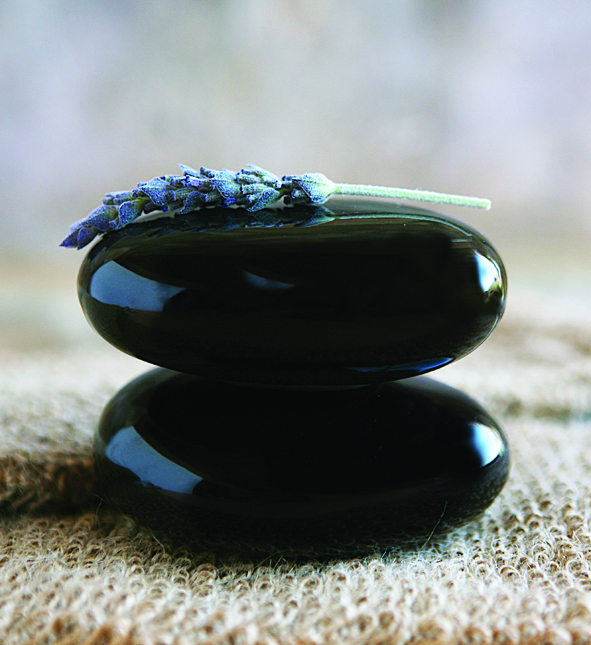 If you are unclear about the treatment that you need, you can visit Tracey Marson at The Tranquility Room in Littleborough, Lancashire to discuss our wide range of beauty and holistic therapies. Tracey has over three decades of experience in the beauty industry and can advise you on any general beauty and care issues. Make use of the holistic beauty treatments we provide to look good and feel great! You can also view the wide range of beauty products we use and contact us today for more information! “I have been going to Tracey Marson at The Tranquility Room now for nearly two years and it certainly lives up to the name. The room is warm, comfortable and very inviting and Tracey makes you feel extremely comfortable and relaxed. Over the years I have been to numerous beauty salons and Tracey is second to none. Her knowledge of the treatments and products she uses is outstanding. She guides you through new procedures and offers excellent after-care and advice. I have always had what anyone would class as "ugly feet". I shied away from having a pedicure because I was too embarrassed, always wore socks & shoes and buried my feet in the sand. “As a mature woman I have visited many spas and beauty therapists over the years but Tracey Marson at The Tranquility Room is the most professional, knowledgeable and most of all friendly therapist that I have met. From the moment you step into the treatment room, which is built onto Tracey's house, you can feel that it is a haven of peace and calm. Unlike a high street salon there is no noise or chatter from other clients and staff and you feel that you have entered a beautiful, quiet oasis. Tracey does not force her thoughts of what treatments you should have but listens carefully to what your concerns are and then suggests various solutions to your skin problems. She is a very experienced therapist and has such great knowledge of the products she uses, you feel very confident that you will have the best possible treatment with no corners cut and you know that when you are ready to leave there will be no pressure to buy anything. “I cannot praise this gem of Tracey Marson at The Tranquility Room enough. Relaxation begins for me as I walk down the path with the anticipation of the treatment ahead. Although a monthly no hands' treatment is my usual treatment and necessity! I have also experienced hot stone massage, colonic massages, facials and pedicures and I can honestly say that whatever treatment I am having I know it is conducted with the ultimate attention to detail. There are no short cuts or half measures here. “I have been using Tracey Marson at The Tranquility Room for many years now and would recommend Tracey and her treatments to anyone. She is always friendly and professional while still making you feel relaxed and treasured. “I would like to say how impressed I am with the service given by Tracey at the above salon - it's only been 3 years since I was first introduced to her by a friend. I have found Tracey to be welcoming and extremely professional, offering a wide selection of treatments. The salon has a very calm and relaxed atmosphere and the treatment room is lovely with perfumed candles and soft background music making me feel totally at ease and relaxed. “I am a 58 year old married mother of two with two grandchildren and the sole carer of two elderly parents. I work full time in a demanding and sometimes highly stressful job within the NHS. It was around 1985 that Tracey Marson opened her first salon and I booked an appointment and I have been a client ever since. Over the years Tracey has seen me through many of life’s traumas and I feel safe in the knowledge that I can talk to her and know that she will adhere to client confidentiality, I trust her implicitly. I visit Tracey Marson at The Tranquility Room every month. I call it my ‘Monthly MOT to keep my body on the road’. Tracey can gauge my mental and physical well-being and she adjusts my therapies accordingly. I always feel totally relaxed whilst in the therapy room with Tracey, The atmosphere, for me, is an oasis of calm and tranquility and I have often fallen asleep whilst on the couch. I leave feeling invigorated and extremely contented. I must also admit to being guilty of self-neglect and often I don’t look after myself as much as I should, I always seem to have so much to do in such little time. Tracey cajoles me into looking after myself, gently advising and coaching me into taking better care of myself. These are the reasons why I have always come to Tracey Marson for so many years. Tracey has always embraced change whether it be new therapies or products and is continuous in developing her expertise so I am in the enviable position of having a wealth of treatments available. She is not precious with her experience and expertise, sharing her knowledge through mentoring, work experience and training. She does all of this without compromising her professional integrity and beliefs. "I am writing to support Tracey Marson's application for beauty therapist of the year. I have been a regular client at her tranquillity room salon for the past 6 years during which time I have experienced the wide variety of holistic and beauty treatments that she offers to her clients, many of which are tailor- made to individual clients' needs. Her treatments are of a very high standard and alongside her calming and professional manner she creates a very holistic environment, which is not found in most beauty therapy salons. I frequently recommend her to family, friends and work colleagues. I feel that this award is an important one which will recognise the considerable contribution that Tracey has made to the beauty industry over the past 20 years and I cannot think of anyone who would be more deserving of it." "Amazing quality, a lovely atmosphere and welcome, I love going here and usually have a facial and manicure. I have very dry damaged nails that Tracey works some kind of magic on them and via a prescription manicure I have perfectly polished nails that last, her nail polish doesn't chip either and I have hard working hands. Nor does it take 4 hours to dry! The facials are heaven, again prescription, including a massage, my skin looks so fresh and plump afterwards. Your skin will be glowing for days. I've also tried no hands massage, pedicure and shellac. All are equally fantastic." "I usually go to Tracey for my Shellac nails every other week, she does a super job and they always look lovely. However today I had a treat of a NO HANDS full body massage plus a facial. She asks all the relevant questions regarding what you expect to gain from the massage and fits the massage to suit you. Came away feeling totally relaxed. Didn't even feel my bad back when I got off the bed, amazing. I would highly recommend this lovely lady."